The other day the Delmarva Shorebirds tweeted that former Revolution hitting coach Ryan Minor will continue as their manager, a post he has held since 2010. It will be Minor’s third season as skipper, and his fifth on the coaching staff there. After serving as Revs hitting coach for one season in 2007, he moved to the Orioles Low-A South Atlantic League affiliate in Salisbury, MD. Minor, a former University of Oklahoma basketball and baseball player, is most remembered for taking Cal Ripken’s spot at third when Cal’s consecutive games streak came to an end. Revolution Manager Andy Etchebarren told Jim Seip of the York Dailly Record that 35-year-old Liu Rodriguez will be returning to the Revs this season, as a player-coach. This makes for a four-person coaching staff, with the return of Pitching Coach Mark Mason and Enohel Polanco. 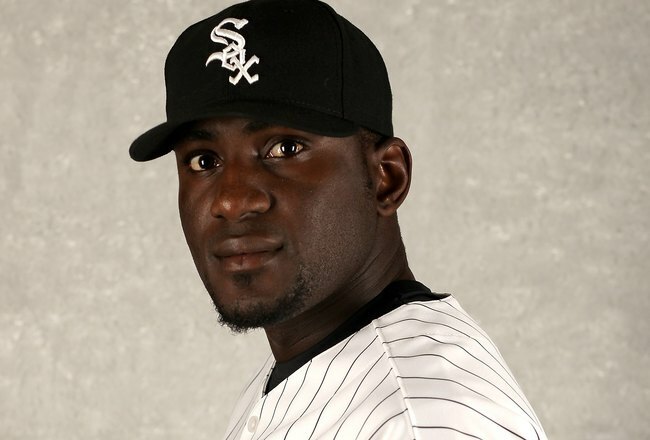 Polanco served as a player-coach in 2010, before retiring as a player but staying on the coaching staff. As an English and Spanish speaker, Rodriguez’s future as a minor league coach appears bright. The Venezuelan-born infielder enjoyed a 39-game cup of coffee in the bigs with the White Sox in 1999. 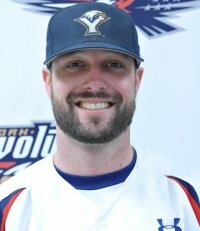 To the chagrin of all Revolution fans, it appears first baseman Chris Nowak is unlikely to return to York this season. Nowak will attempt to play in the Japanese major leagues this season, and if that doesn’t work out, rumor has it he would play in the Mexican League, officially classifed as Triple-A by MLB. Sluggers are valued very highly in that league, and players who do not hit home runs usually don’t last long there. Considering Nowak bashed a Revs single-season record 25 last season in just 84 games after joining York in mid-June, I’m sure Mexico is interested, and he would probably stick if he went there. While it’s certainly possible he could resurface with the Revolution at some point, right now the coaching staff is moving forward putting the team together without him. Don’t forget that Revolution single-game tickets for all 70 home games in 2012 go on sale this Saturday (Feb. 4) online and in person at 10 a.m. The Apple Chevrolet Ticket Office will be open from 10 a.m. to 3 p.m. on Saturday for your ticket buying pleasure, and Revs hurler (icon?) Corey Thurman will be on hand from 10-Noon to sign autographs and take pictures. If you’d like to come to the home opener on May 1, Saturday would be a good time to reserve those tickets. Revolution co-owner and former York White Rose Brooks Robinson was hospitalized as precaution over the weekend, after suffering a fall. Brooks fell off a stage at a charity dinner for retired players in Hollywood, FL on Friday night, sustaining two fractures in the area of his shoulder, including a broken clavicle. He was alert as he was treated by paramedics. The fall was six to eight feet. There’s another potential complication in the Loudoun Hounds quest to get going in Northern Virginia, to hopefully join the Atlantic League as an expansion franchise in 2013. (Check out this post from October about Loudoun if you’re new here.) While construction has not yet begun on their ballpark, construction has begun on the development that will someday surround the ballpark there, in Dulles, VA. (Homes, shopping, etc.). Then today we learned, courtesty of the folks over at Ballpark Digest that the Potomac Nationals, the High-A Carolina League affiliate of Washington, might want to cut in on the Hounds action. The P-Nats play in the D.C. suburb of Woodbridge, VA, in Prince William County. That franchise has played there for years under several names and affiliations, in aging Pfitzner Stadium, a facility which no longer meets the needs of a professional team in this day and age. Talk of re-locating the team or a new ballpark has been going on for some years, and the latest solution floated in that Ballpark Digest article may be a little of both. The P-Nats may move to a new ballpark along the I-66 corridor, which would provide easy access for Loudoun County residents. Such a thing won’t stop the folks in Loudoun from breaking ground on their ballpark and opening as soon as they can, but it will be interesting to watch, ala the Revolution’s proximity to the Double-A Harrisburg Senators, also a Washington farm, upon opening in 2007. However, while the Revs and Sens may compete for a few fans equidistant of each city, York and Harrisburg have remained pretty separate markets, and attendance has stayed strong in each. If anything, the Revolution’s presence with sparkling-new Sovereign Bank Stadium helped Harrisburg’s fans, prodding the organization to make massive renovations to Metro Bank Park perhaps faster than they had planned . It’s now a very nice ballpark if you haven’t been to a game there lately, and fans who went to the original ballpark as I did, will find it hard to believe “new” Metro Bank Park sits on the same site as the “old” park. The improvements are that dramatic. I can’t say for sure whether the Hounds impending presence prompted the P-Nats proposed move to I-66, but there’s no doubt the prospect of some competition accelerated talks of a new ballpark for them, even though those talks began long before the Loudoun Hounds were a factor. In any event, Loudoun County will have their home team and Prince William County will have theirs, and although there will be some overlap similar to York and Harrisburg, both teams should continue to thrive with brand-new, state of the art facilities. More announcements on player signings for the upcoming season will be coming this week. Rev it up! The Revolution will play an exhibition game that day against the “York County All-Stars,” a collection of players from the Susquehanna and Central Leagues, to be chosen by each league. The manager of the team is TBA. This is the second time we’ve had this matchup, at Fan Fest 2009 the Revs defeated the York County All-Stars by the score of 18-1. Among the highlights were Red Lion ace Shawn Hedrick starting for the opposition, and Hedrick would join the Revolution later in the season, making his professional debut as a 34-year-old rookie at Sovereign Bank Stadium. Hedrick pitched admirably as a spot starter when the Revs rotation was nicked up by injuries. He made four starts for the Revolution in 2009, and one more in 2010. Glen Rock’s Fritz Allison also hit a monster double to center off Rick Bauer in the first inning, but it was pretty much all Revs from there. Bauer would later leave the Revolution to finish ’09 in Taiwan, but the former Oriole also pitched in the big leagues for Cleveland a season prior in ’08. Allison did play 37 professoinal games for Elmira in the Short-Season New York-Penn League in 1994, after signing with the Marlins as an undrafted free agent that year. It was his only professional experience. 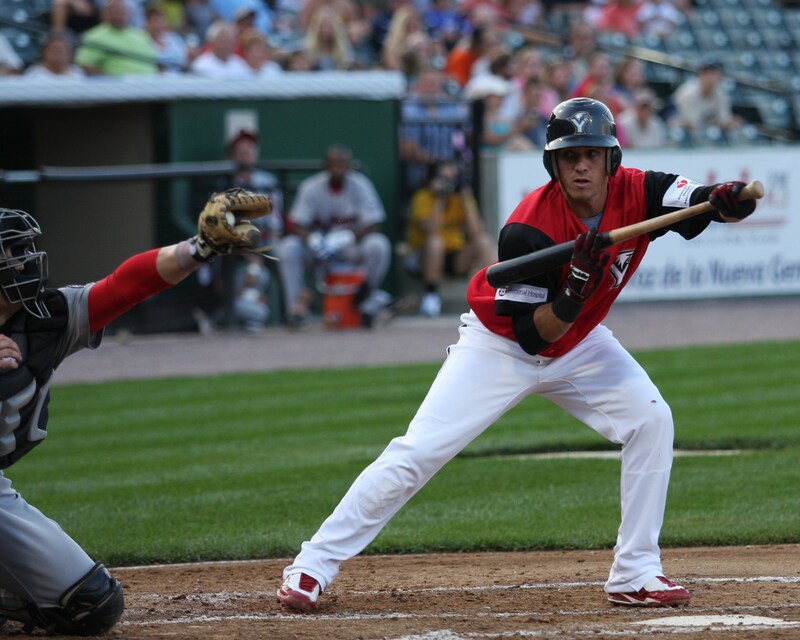 Hedrick still plays for Red Lion in the Susquehanna League, and former Revolution outfielder Jason Aspito is his teammate. Aspito joined Red Lion after retiring from professional baseball after the 2009 season, when he also became the head baseball coach at Penn State-York. Aspito was with the Revs beginning with the inaugural 2007 season, and his 24 home runs in 2008 was a single-season franchise record until Chris Nowak hit 25 last season. Seeing that Aspito is the most experienced professional player in either league, there’s a good chance he and Hedrick will face their former squad in this exhibition game. Aspito was a pro for 10 years, after being drafted by the White Sox in 2000, also spending time with the Angels, where he reached Triple-A in 2006. Tickets for this game will be $5 for the general public, and $3 for Revolution season ticket holders. Start time is at 1 p.m., and the Sovereign Bank Stadium gates will open at noon. $1 of each ticket sold will go back to the Susquehanna and Central Leagues, so support your local baseball team by coming out. The manager and the rosters will be announced at a later date in a press release. Stay tuned for that announcement. Fan Fest will also include a party on the Brooks Robinson Plaza as in years past, which will include a TBA country music show presented by WGTY. It will be family friendly fun as usual! The Revolution will be reporting to York on Friday, April 13 to begin spring camp workouts. Between then and when they depart for Sugar Land on April 24 to open the season, they’ll have a handful of exhibition games including Fan Fest on the 21st. Of course Lancaster will be on the exhibition schedule, and probably at least one game with Camden or Southern Maryland as well. Sugar Land will actually be spending the week in York to train, so they’ll have nearby competition for exhibition games as well. There will likely be at least two Revs-Skeeters matchups during spring training week. The exhibition schedule will be posted online soon. There won’t be an admission price for any exhibition games other than Fan Fest. 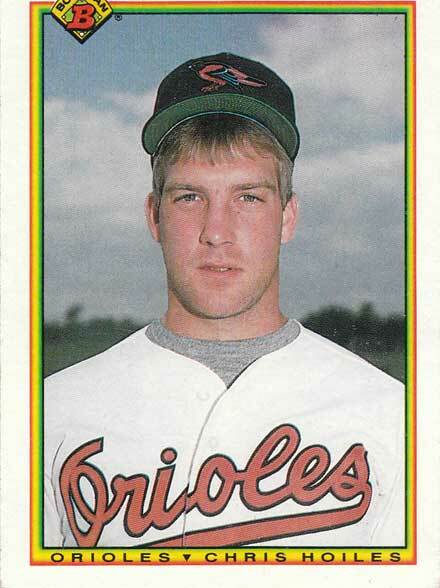 Last week we reported that Jim Seip reported that Roch Kubatko reported that former Revolution manager Chris Hoiles was interested in returning to the Orioles organization in any coaching capacity. After spending a decade with the O’s as their primary catcher, it appears that request has been honored. MASN’s Kubatko is reporting that Hoiles will be joining the Orioles in Sarasota for spring training next month, where he’ll be a special instructor. No word yet on whether that may translate into a minor league coaching job this season or in the future. Hoiles did re-locate to York County from his native Ohio, and lives in Spring Grove. He wouldn’t be too far from home and family if he were to work with one of Baltimore’s lower affiliates in Maryland, Aberdeen (Short-A, New York-Penn League), Delmarva in Salisbury, MD (Low-A, South Atlantic League) or Frederick (High-A, Carolina League). So good for him, Chris is a good guy. But the real reason for this entry is the excuse to post this AWESOME picture from Hoiles’ early days with the O’s. You’re welcome York. An interesting read as Kubatko recently sat down with Chris Hoiles. The former Orioles catcher who was inducted into the O’s Hall of Fame in 2006 is quite eager to return to professional baseball in a coaching capacity with the Baltimore organization, whether in the Majors or minors. He was the Orioles primary catcher for most of his 10 MLB seasons (’89-’98). Hoiles’ most impressive season came in 1993 when he batted .310, belted 29 homers and knocked in 82 runs – all career highs. Hoiles was the Revolution’s first manager, skippering the club from 2007-2009. 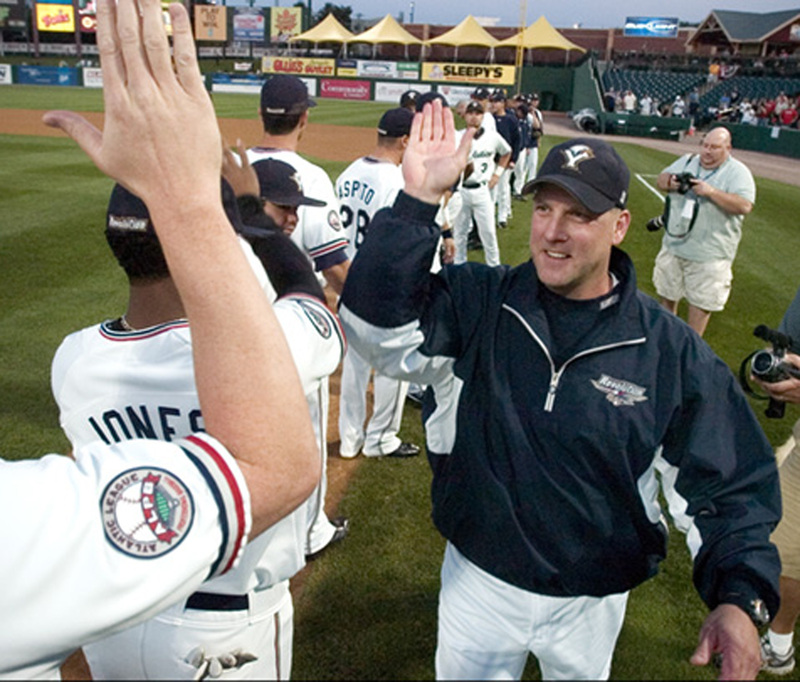 He led the Revs to their first playoff berth in 2008, dropping the Freedom Division Championship series to Somerset.